Modern day game icons from Uncharted, Deadpool, and The Last of Us playthrough retro video games on a hilarious new show. IRVINE, CA, May 14, 2018, /24-7PressRelease/ — Nolan North and Troy Baker have played characters that generations of gamers and geeks have come to love. From Nathan Drake (Uncharted) to Joel (Last of Us), both have brought modern day game characters to life. Now, they’re going back and playing the games that inspired the creators of those games. 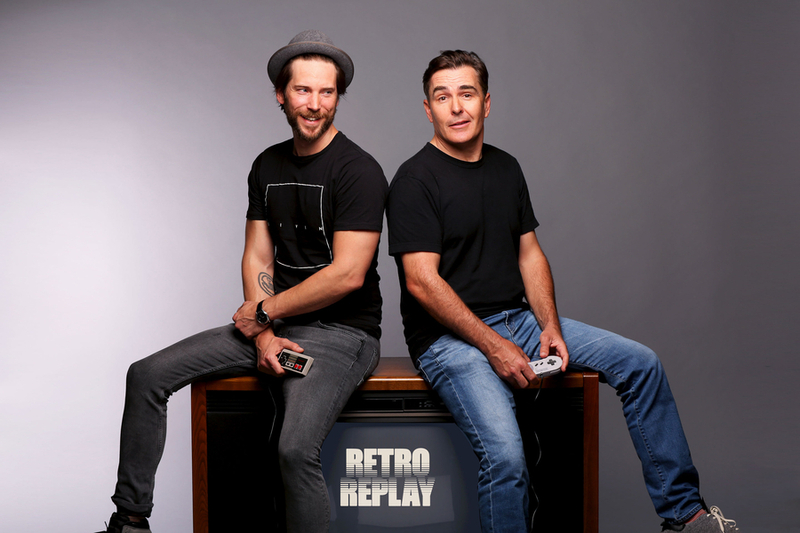 It’s with great excitement that we announce our new show, RETRO REPLAY, where Nolan and Troy share a range of emotions, voices, and stories while playing video games of old. Nolan North has been nominated for three BAFTA Awards for Best Performer as Nathan Drake in the Uncharted Series and has starred in the Pretty Little Liars as well as the EMMY-nominated series Con Man. Troy Baker has also been nominated three times for Best Performer at the BAFTA’s for Uncharted 4: A Thief’s End, Far Cry 4, and The Last of Us. Troy has also brought characters to life for iconic properties such as Bioshock Infinite, The Batman Arkham series, Call of Duty and Metal Gear Solid. RETRO REPLAY will be a weekly show on YouTube. You can find current episodes here and learn more about the show at RetroReplayShow.com. With one foot in Hollywood and the other on Madison Ave., Redbear is well-versed in making content that isn’t just beautiful, it’s entertaining.